Chasin' Mason: Making 2014 Count. My word for 2014 is balance. I have the HARDEST time with balance. I feel so overwhelmed about all I have to do sometimes that I do so much, but I don't do it well. Or as well as I know I could. There is so much I want to do in the day but there is just not enough hours. Or I forget that I wanted to do something and then the holiday/event/etc is over and I am disappointed. I all too often compare myself to others. Especially in the blog world. Everyone posts such AMAZING things and are such amazing moms. How do they do it??? Do they have extra hours in the day?? How do they think of such creative things?? They are better moms than me! And that there is the problem. They aren't a better mom than me. We are both moms doing what is best for our kids. 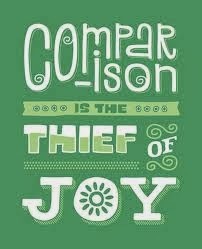 I need to stop comparing myself to others because what is posted in the blog world is just a snapshot in time. I thought about making new year's resolutions for 2014 but I would probably break them. It sounds so awful but it's true. Let's be honest, almost everyone makes them and almost everyone breaks them. I like to make more of goals than resolutions. They seem more attainable and if I should break them (or more not achieve them) I am not as upset about it. So this year, my goal is to find balance for my life. I rush around in the morning, get ready for work, get Mason ready for daycare, rush to drop him off, rush to get to work, work for 8 hours, and then rush home to see my family. We eat dinner, get Mason ready for bed, and put him to bed. It's now 8:15pm (give or take) and I am exhausted. And I still have so much I want to do! I want to blog... but then I'm not hanging out with Seth like I want. He can't watch one of our 1,000 DVR'ed shows because he is waiting for me and wants to watch with me and I am blogging. Or I want to catch up on my daily blog reads. Or I want to do some online window shopping. But then I am on the computer all night again and not spending time with my husband. It's the weekend now...and I want to spend time with my family.... but its right before school starts (I work at a college) and I have to work. From 7am-2pm. And I feel GUILTY for leaving my family. I want to be with them, but I have to work. It's the WEEKEND. Weekend = family time. But not this weekend. And they understand. But I don't. Mason is only this little for so long and I am missing out because I am at work. And then my friends want to hang out (thankfully they contact me since I have dropped the ball on texting them about a girls night). And I WANT to hang out. But I feel guilty. I am leaving my family again, but this time voluntarily. I feel guilty leaving Seth to take care of Mason all alone. But he doesn't mind. He is his dad and LOVES to spend time with him. BUT I still feel guilty that I am out having fun with my friends and he is at home. Balance is such a hard thing. Finding balance between work and family and friends and everything else that life throws at you. But I am going to attempt it. Or at least attempt not to feel so guilty about everything. Especially things that are beyond my control. - pick and choose my battles - is it really the end of the world that Mason opened the drawer with all his extra sippy cup parts in it and threw them all over the ground? is it the end of the world that Mason just threw every book on the shelf on the floor, all while looking at mommy and daddy and smiling? No. It is not causing anyone any pain and he is not going to get hurt, so play on! - make more of an effort - I make lists and I don't complete them. I think about people I want to get together with and then don't text them (mainly because I don't write it down and forget!). I think of things I want to do during the weekend and then I don't do them...and then it's Monday and the problem starts all over again. And I think that is what annoys me the most! Which is also funny because I am the one annoying myself by not finishing my tasks. I put off what I could do today until tomorrow...and tomorrow... and tomorrow. - be more organized and plan ahead - I got an Erin Condren planner for Christmas and have already started pre-filling stuff in so I don't forget anything anymore. - try new things - This is especially true for food. I feel like we eat the same thing every night and I want to try new things. Though Seth is the one that makes the food, not me, I come up with the recipes and he is always game for trying something new. - live more in the moment - I have a horrible, horrible tendency of being on my phone all. the. time. I feel like I am involved in what's going on, but when Mason is watching Mickey Mouse, do I really need to pay attention? He doesn't even know I'm here, he's so focused. BUT how do I know that? Maybe he turns to look at me and give me a huge smile and walk to give me a hug but sees me on my phone and turns back around thinking that mommy is not paying attention. That would BREAK my heart. I want to make more of a conscious effort to enjoy the moment. - have more date nights - We get so wrapped up in Mason that we forget to go out by ourselves. We have amazing family members that live so close that we need to plan some time for ourselves. We went to lunch and a movie on New Year's Day and it was glorious. Balancing as a mom is a hard thing! There's never enough hours in the day! I struggle to with going out with friends and leaving them on the weekends. I know Chris loves the one on one time with Noah but I get in my head that weekends are family time. Good luck in finding the balance in 2014! Hello and welcome to my blog! 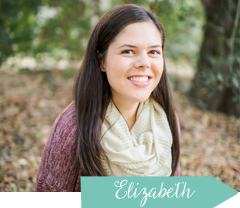 I'm Elizabeth. Wife to Seth and mama to Mason. Lover of Starbucks, chocolate anything, and sunshine. Here on my blog, you'll find a little bit of everything as I navigate through motherhood with a son with autism. Pop around, stay awhile. So glad you stopped by! Mason's New Big Boy Bed! Why I Chose to Join Beautycounter as a Consultant. Spring Clean & Going Green! All images and content are property of Elizabeth Birenbaum. Copyright 2012-2017. All photos are taken by me (unless otherwise stated and credited). Please feel free to use, pin, or share any images (that are not of my child) but please remember to give proper credit and do not claim as your own. Thank you!